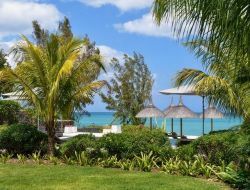 Holiday rentals situated in the North of the Mauritius Island, in 1 km of the center of Grand Baie, the renowned sea resort for its magnificent beaches, shops and restaurants. 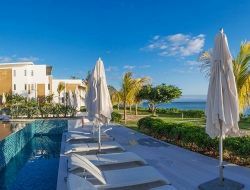 Spacious tropical style villas, for 2 to 6 people, offer peace and intimacy, with privative swimming pool, a flowery garden or a terrace with spa bath. The breakfast is included and is served in the villa by the butler. The access to small bays since villas, kingdom of the snorkeling, made by this place an ideal place for escapades at sea. 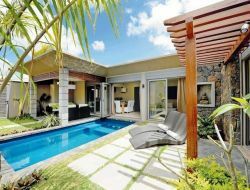 This holiday residence welcomes you in Grand Baie, the most appreciated sea resort of Mauritius Island, near the most beautiful beaches. Rent of luxury villas with garden and privative swimming pool. 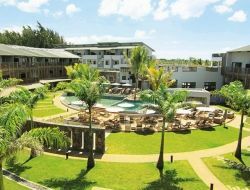 Of sophisticated architecture and using typical elements of the Mauritian architecture, they have modern equipments which promise a stay under the sign of the comfort and the luxury. The breakfast is included and is served in the villa by the butler. Numerous services are proposed. For some more of well-being, a tropical spa is at disposal in the residence. Holiday residence on long fine sand beach, having a situation favored on the west coast of the Mauritius Island, shielded from the wind. Air-conditioned holiday accommodations, with balcony or terrace, with a sea view. The residence has a swimming pool with deckchairs and parasols. The beach, relatively deserted in the week is frequented by the Mauritian families the weekend and give the opportunity to discover the local population. For the followers of the night-life, numerous bars and restaurants along the coast. 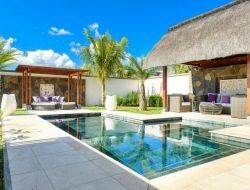 Situated in 100 m from the beach, this new holiday residence is situated on the Mauritius Island, at 10mn by car from the sea resort of Grand Baie and it's shops, art galleries, nautical centers, restaurants, bars, night clubs... It is also the ideal starting point for numerous visits and excursions. Air-conditioned holiday rental (studios and apartments), with balcony or terrace. The residence has a swimming pool with deckchairs and parasols. The beach proposes numerous nautical activities. 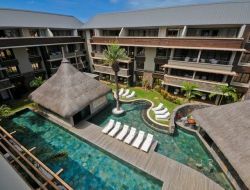 The holiday residence is situated near Grand Baie, the recognized sea resort of the Mauritius Island for its beaches, nautical activities, local and craft markets, discotheques and restaurants. Rent of big apartments of contemporary style, with terrace, being able to welcome up to 6 people. Some have a small private swimming pool. Holiday rentals situated in a particularly well fitted out environment, around a swimming pool and around a spa. The magnificent beach of Pereybere is in only 5mn from the residence. 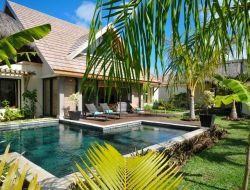 This holiday residence is situated in the North of the Mauritius Island, in Grand Bay, the most appreciated sea resort of the island for his luxury shops, its magnificent beaches and its specialities of fishes to be tasted at the edge of the lagoon. Rent of luxury villas for 1 to 4 chambers and which arrange each of a private swimming pool and a terrace. The breakfast is included and served in the villa by the butler. Many more services are proposed.